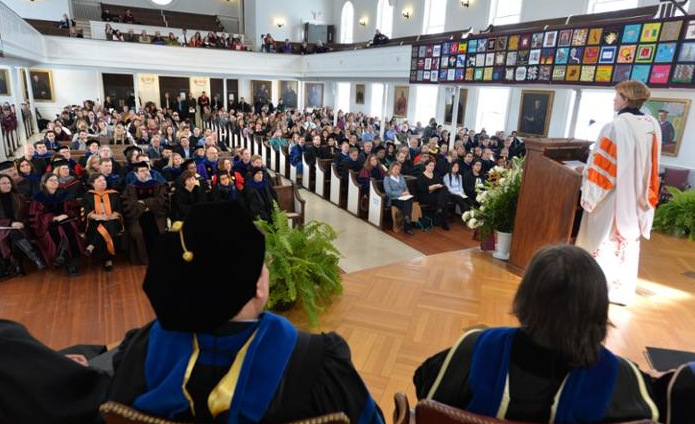 The Union College community celebrated the School’s 220th anniversary, today (February 26, 2015), with a Founders Day ceremony in Memorial Chapel. 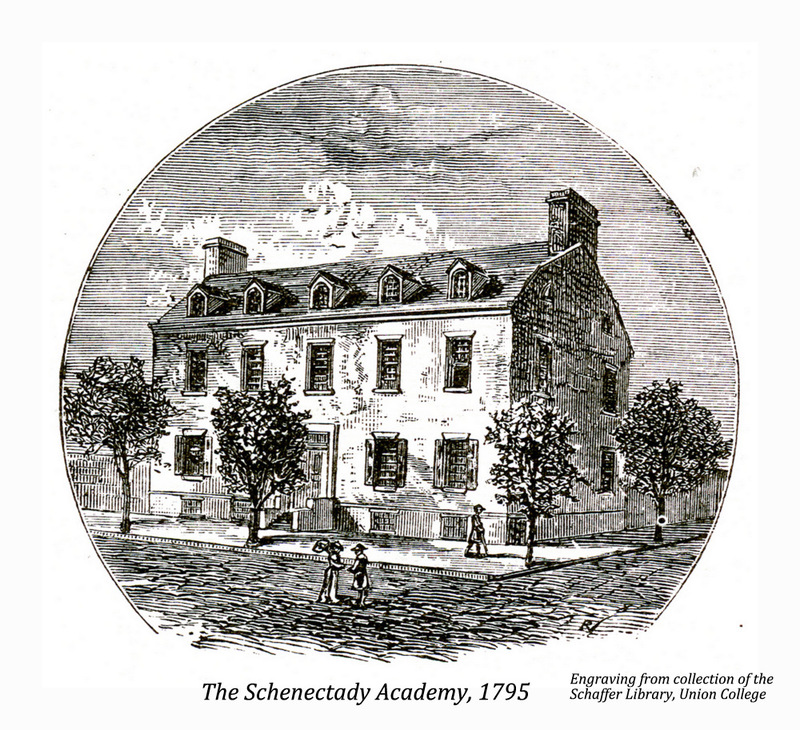 In 1795, Union College was the first institution for higher education chartered by the New York Board of Regents, also making it the first non-denominational college in the country. 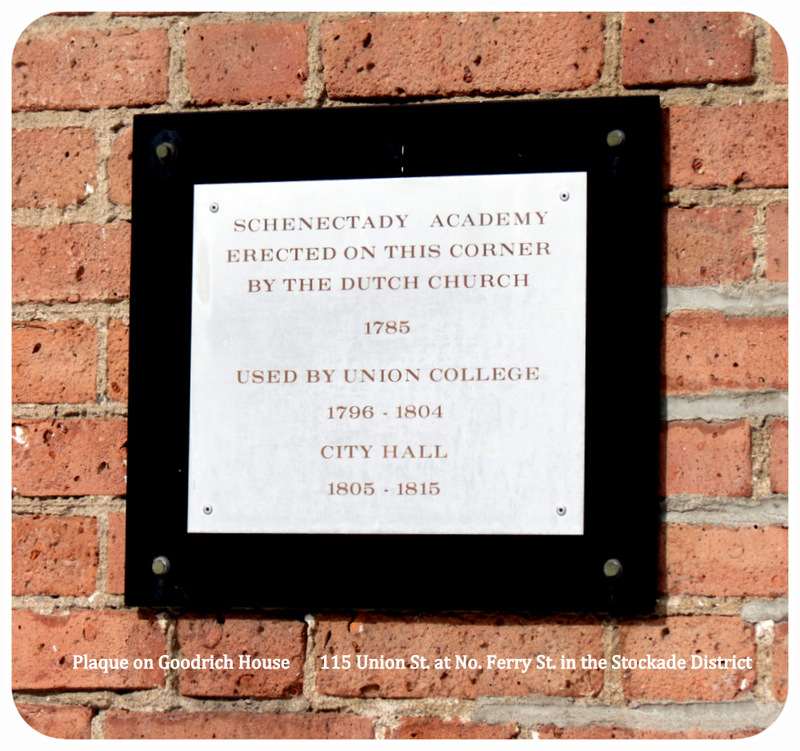 The School was originally located in Schenectady’s Stockade neighborhood (see the collage below), but moved a half-mile down Union Street to its current location in 1814. Its campus was the first fully-planned campus in America, predating Thomas Jefferson’s design of the University of Virginia by several years. 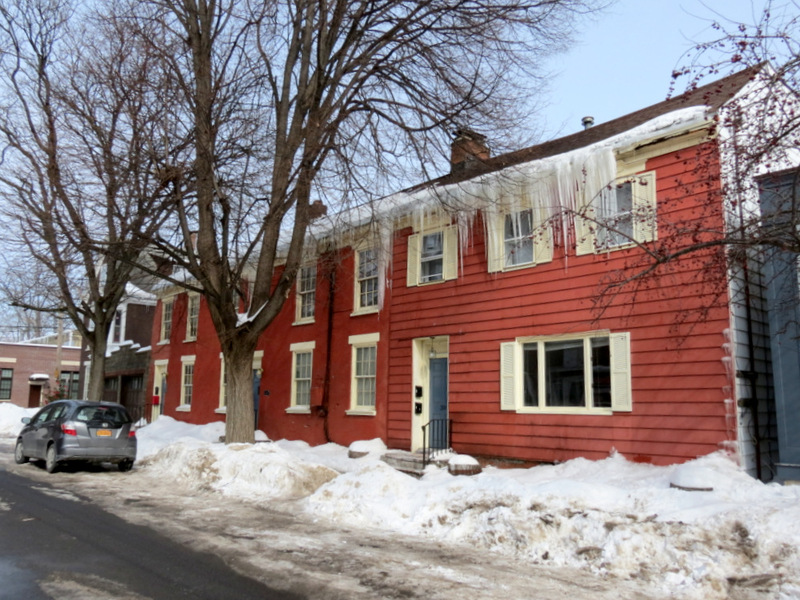 – the Stockade Historic District was New York State’s first designated historic district. 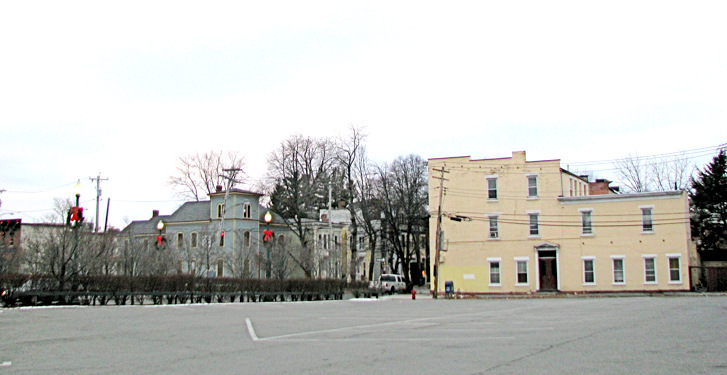 It is believed to be the oldest continually-inhabited residential neighborhood in the nation. Union’s planned campus has been well-nurtured over the past two centuries, and it was recently named one of America’s Most Beautiful Campus — ranked 12th — by the Princeton Review. (For more of its history, see Schenectady Daily Gazette, “Union College ranked among most beautiful campuses,” by Haley Viccaro, December 31, 2014) Two of the most beautiful features at the 130-acre campus, are the renowned Nott Memorial (on YouTube) and Jackson’s Garden (photo gallery), each of which will be featured in a separate posting in March. 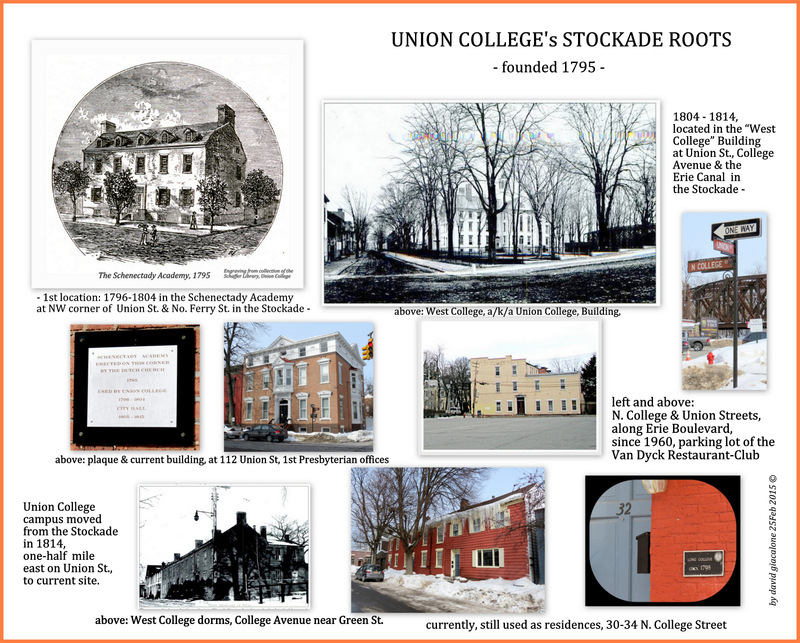 As you can see in the collage above, time has not been kind to the College’s first two locations, in the Stockade. 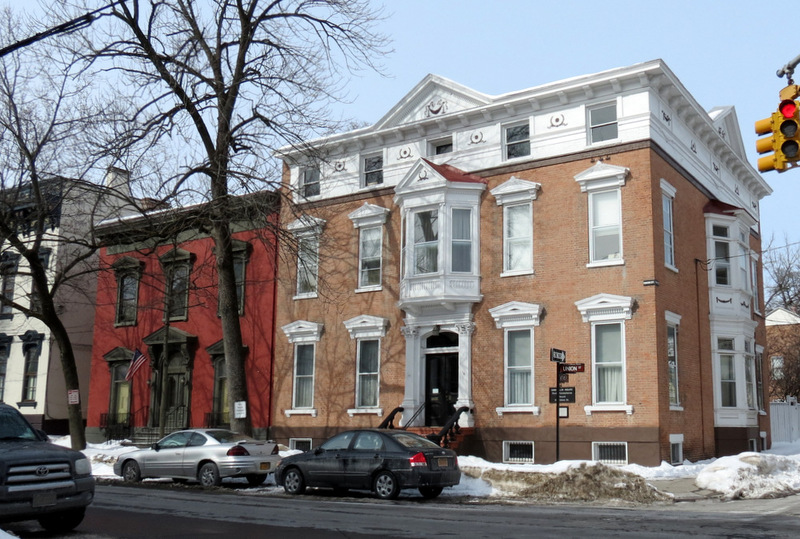 The original spot, the “Schenectady Academy” building at Union and N. Ferry has been replaced by the Goodrich House, a stately home at 112 Union Street, which is now owned by First Presbyterian Church. 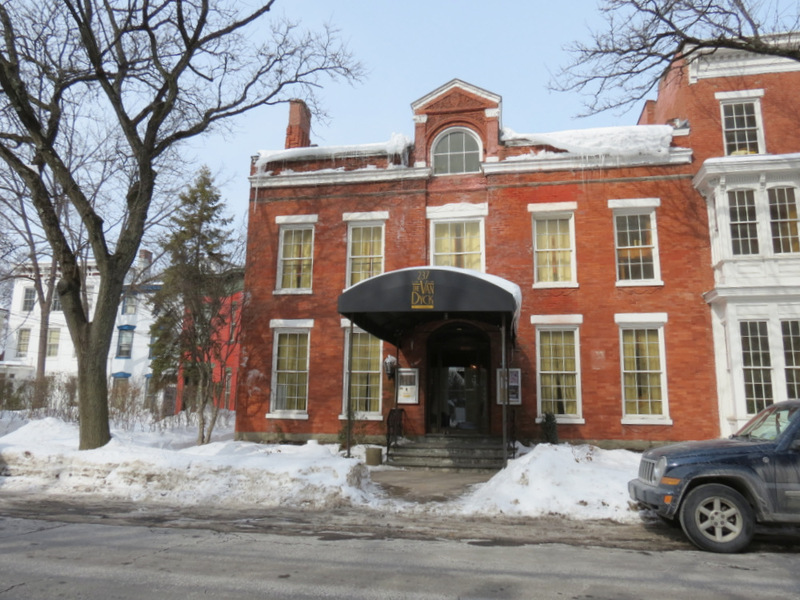 On the other hand, the “West College” building was demolished in 1890, and its successor in 1960, leaving behind a parking lot owned by the Van Dyck Restaurant & Lounge, at 237 Union Street. So, there no college exists today on either North or South College Streets. 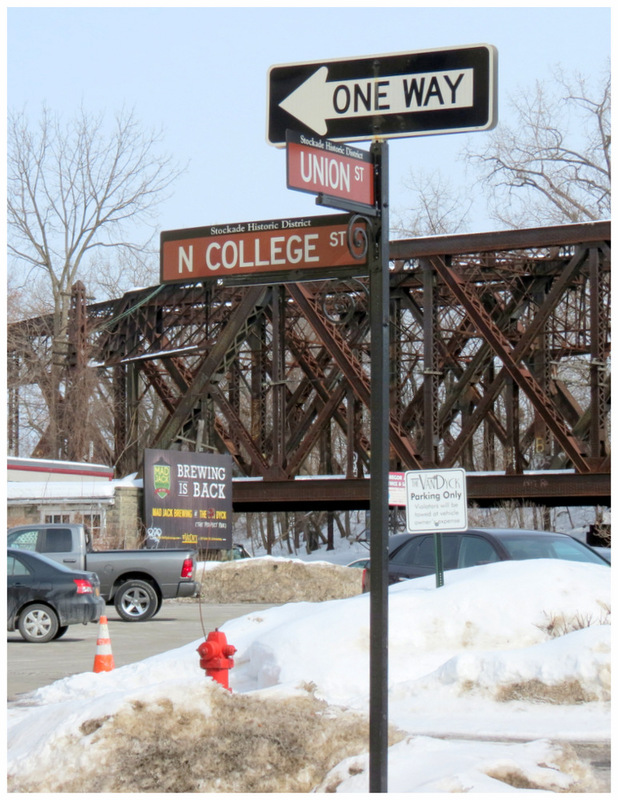 Perhaps we should be grateful that Union College decided to put its lovely campus up Union Street, rather than devour a large part of the Stockade long before it became a protected Historic District. The very modest dormitory rooms built a short distance down N. College Street from West/Union College, have survived, and are looking pretty good after a recent coat of paint. 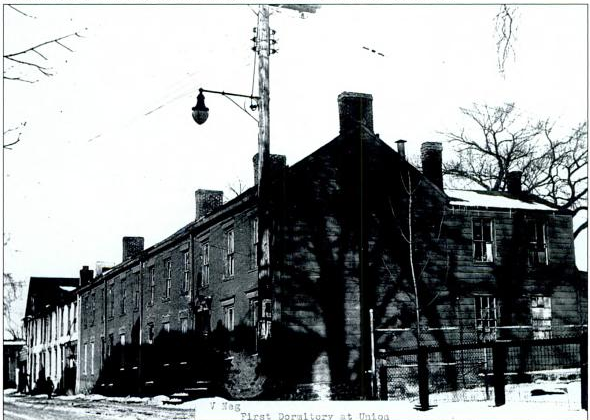 Note: the b&w photos used in this post can be found, with many more, in “Schenectady’s Stockade: New York’s First Historic District“, by Don Rittner.